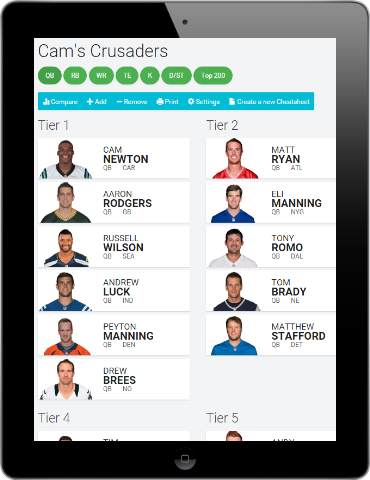 Drag and drop players to adjust rankings, group players into tiers, and add or remove players from your cheatsheet. Create a different cheatsheet for each of your leagues and customize the scoring settings to compare player stats. Draft from your phone! Use the draft tool to update your cheatsheet live, or print your cheatsheet to take to the draft.